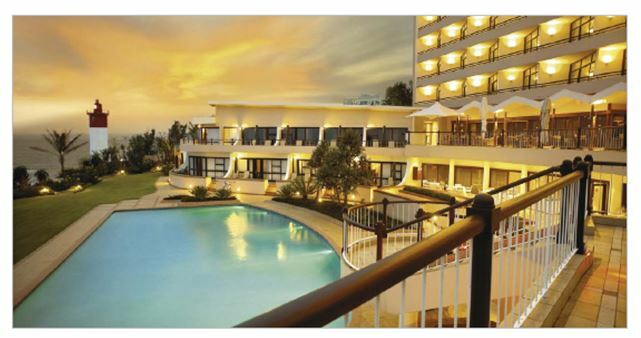 Beverly Hills, icon and landmark hotel in KwaZulu-Natal first opened her doors in December 1964, and this year sees her celebrate an extra ordinary 50 year journey. It was Sol Kerzners' inaugural luxury hotel, named after his daughter, Beverly and was the first hotel in the province to achieve five star status. To acommemorate this milestone Beverly Hills will be hosting a variety of culinary events including wine dinners, afternoon haute teas, and ladies lunches. The hotel is lead by General Manager, John de Canha. He brings with him a wealth of experience and a strong culture of professional, intuitive service. Under his leadership the hotel enjoys a fine reputation for exceptional service delivery and continues to surpass global standard of hospitality and meet the changing needs of today's guest. "It is a privilege to be managing the hotel in her 50th year," enthused John. "The love affair with the Beverly Hills continues, and we delight in welcoming back so many repeat guests, who feel like they are coming home when they stay with us. Loyalty from the local market has also grown enormously with many locals visiting the hotel for meals, sun downers or afternoon tea stated de Canha. Great care and consideration has been taken in maintaining the hotel. The public areas exude gracious living. In the lounge large comfy sofas, high wing back chairs and card tables intimately set up complemented by low level lighting create a warm inviting atmosphere. The use of leather, large mirrors, crystal vases and exquisite fresh flowers captivate the senses and express the passion behind this glamorous hotel. Large sepia prints of early Durban landscapes and the extensive use of wicker and cane on the Vista Terrace reflect the hotels' intention to champion the glamour and sophistication of a bygone era. The signature restaurant, The Sugar Club offers beautiful views of the ocean in a romantic setting. Intimacy is enhanced by smaller table settings. Executive chef, Tony Kocke and his dynamic team ensure the best and freshest ingredients are prepared into works of art. With an extensive wine list, the food is rated amongst the best in the country. The elements café bar is a chic and relaxed café style restaurant situated on the pool terrace, with an eclectic mix of aluminium, chandeliers, comfy couches and stylish ghost chairs. Large sliding doors open to panoramic views of the Indian Ocean. This restaurant, delights guests with the 'catch of day', gorgeous pastas and fresh salads. Proving very popular is the 'Lite' or smaller portion option available with all main dishes. It is an idyllic place to meet friends for a cappuccino, cocktail or enjoy a glass of champagne. A signature experience is the large heated ocean-facing pool, which is enhanced by poolside massages and treatments to all residents from 09h00 to 23h00 daily. 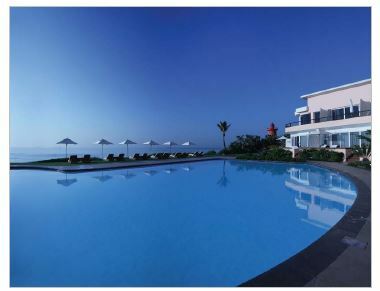 The pool lawns offer dramatic uninterrupted sea views and each guest indulged with a lounger. Guests are pampered with our special pool experience of complimentary ice lollies, fruit skewers, sun cream and lip balm, and of course.... sunglass cleaning service! Whether you stay for a weekend or a business trip, the Beverly Hills is sure to emulate feelings of nostalgia, timeless elegance and romance as only an icon can. Share in this extraordinary journey with us and send some of your video, photo or written memories of magical times spent at the hotel. Send these to www.facebook.com/TheBeverlyHills or email beverlyhills50@tsogosun.com and part of the celebrations. Share the journey with us on blog.tsogosun.com/beverlyhills50 and be part of the celebrations.